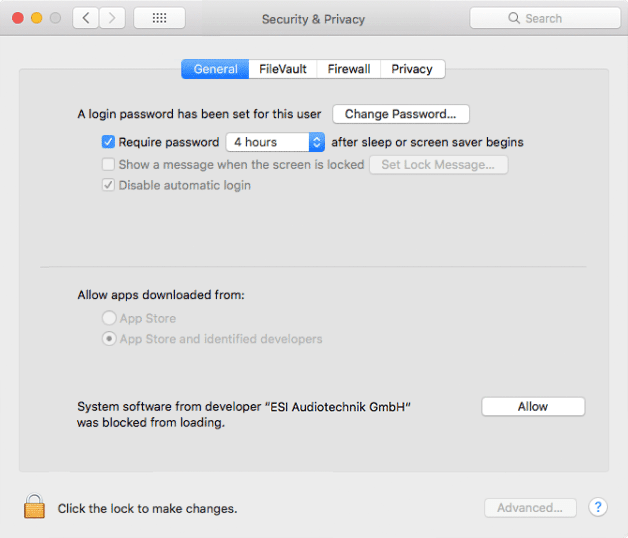 A new security feature in macOS prevents the loading of so-called "System Extensions" like our driver for the PCIe hardware. This message might not be displayed again, especially if you reboot your system. Make sure to click the Allow button next to the notification about our driver there. If this button is not displayed (it might disappear after a while, especially if you install different system extensions after each other), then uninstall the driver again (which requires a reboot), then install it again and go back to this dialog in the System Preferences before you reboot your system then.